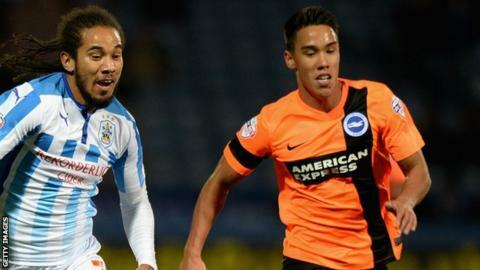 League Two side Leyton Orient have signed Brighton & Hove Albion defender Adam Chicksen on a one-month loan deal. The 24-year-old left-back joined Albion in 2013 but has not featured this term. Chicksen, who had a loan spells with the O's in 2012 during his time at MK Dons, is eligible to make his debut against Notts County on Saturday. "Adam has played a large number of games in League One and has plenty of experience under his belt," Orient head coach Ian Hendon told the club website. Chicksen, who has made a total of 15 appearances for the Seagulls, had loan spells at Gillingham and Fleetwood last season.